Over the past few weeks the press has been warning that WhatsApp and all other encrypted communication applications could be banned in the UK. 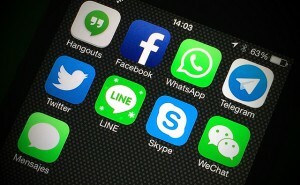 But why would the government ban these extremely popular communication applications? In 2012, Home Secretary Theresa May proposed a new communications data bill called Data Retention and Investigatory Powers Bill, which would compel technology companies to track, record and store mobile phone and web usage from their users. It has become known as the “Snooper’s Charter” but aspects of the bill have been deemed “inconsistent with EU law” - most notably Article Eight of European Convention of Human Rights, which concerns an individual’s right to privacy. WhatsApp, iMessage, SnapChat and other popular messaging services use end-to-end encryption to keep texts and multimedia safe from prying eyes. David Cameron had hoped to outlaw this level of privacy to help law enforcement services track and monitor potential terrorist threats. Many technology companies have spoken out against the measures and refuse to remove the end-to-end encryption from their services. Apple CEO, Tim Cook, said that Apple has “never worked with any government agency from any country to create a backdoor in any of our products or services ... and we never will." Out of the 55,772 readers of the bill, 49,079 voted against the changes proposed that meant providers, phone companies and technology firms store a record of all online activity. This would include everything from Google searches to Facebook conversations and SnapChat videos, which could be accessed at anytime by law enforcement agencies. Here at 360ict we understand the need to protect the country from potential threats, but do you think this bill takes it a step too far? Let us know your thoughts. Communication apps always be preferable of those who are using internet or smartphone but you launch amazing source of information and this update encourage me a lot and top essay writing au online always share good stuff. Thank yoU! Hmm, actually, I wouldn’t like government to access my personal data. Nevertheless, I use this app https://www.hoverwatch.com/track-phone-location that records SMS, call history and audio, camera, locations, WhatsApp, Facebook, SnapChat, Skype, Telegram, Instagram, internet activity, contacts. But I use it for another purpose. There is a feature called 'SIM card replacement' and in case my phone is stolen I will be able to track my device using this software even if a thief removes the SIM card.